I met him at Philadelphia International Airport in Pennsylvania. I was on a layover on my way to Florida when I happened to recognize him as he was walking around. I pulled out a dollar bill and asked him for an autograph. He then tells me has something better to sign and he opens his bag and pulls out an 8x10 photo. He had told me that he was on his way home from an autograph appearance, that's why he had the extra photos on him. 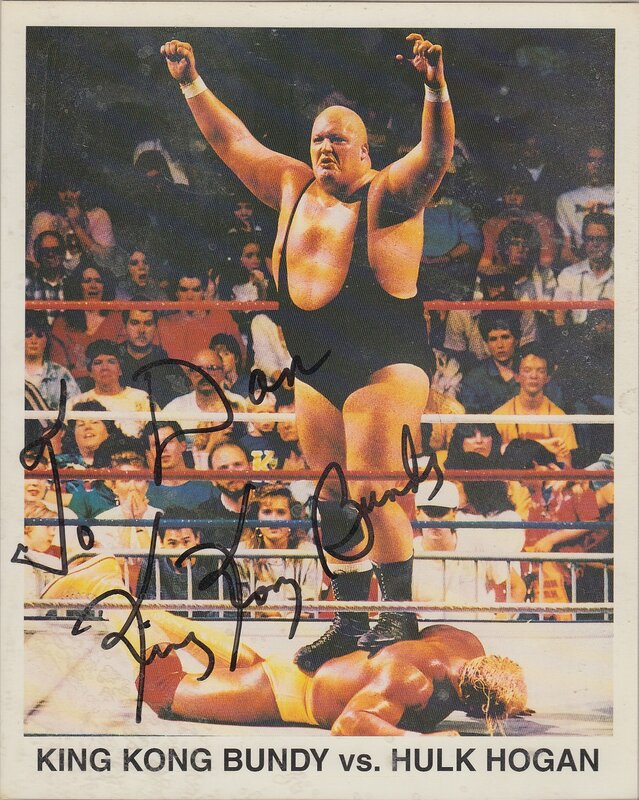 King Kong Bundy signed an 8x10 photo.